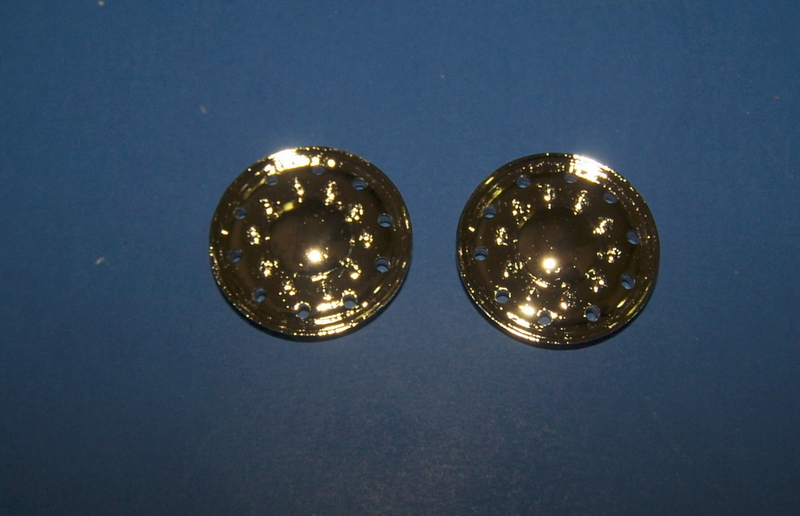 Resin cast chrome plated wheels. 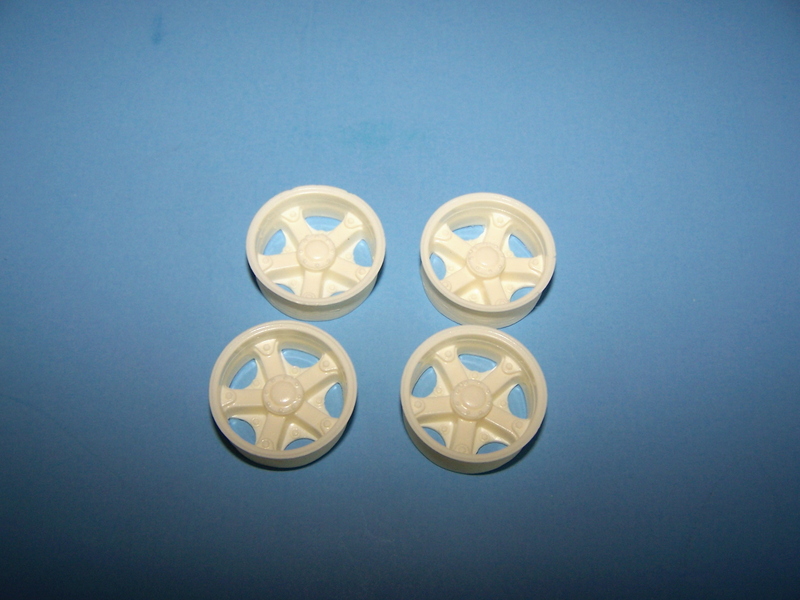 Wheels have 1" positive offset, for use with AMT/Ertl or plaskit 22" flotation tires. 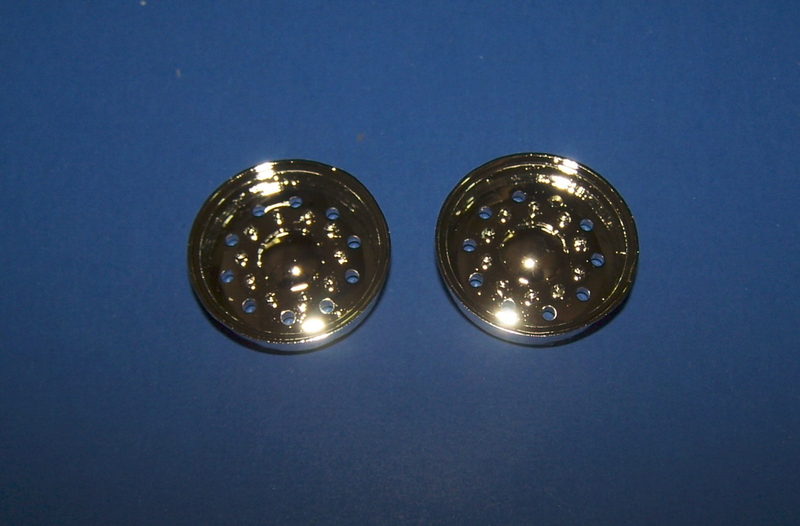 Resin cast chrome plated front wheels. 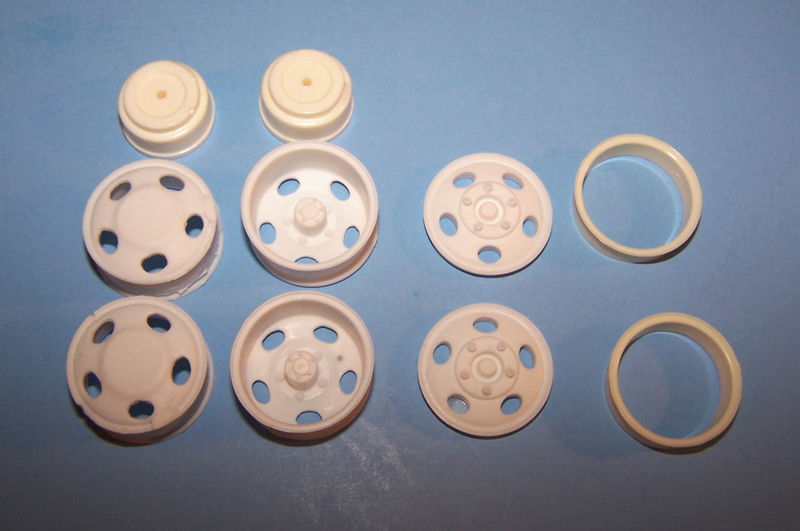 Wheels have no positive offset, for use 22" AMT/Ertl or Plaskit flotation tires. 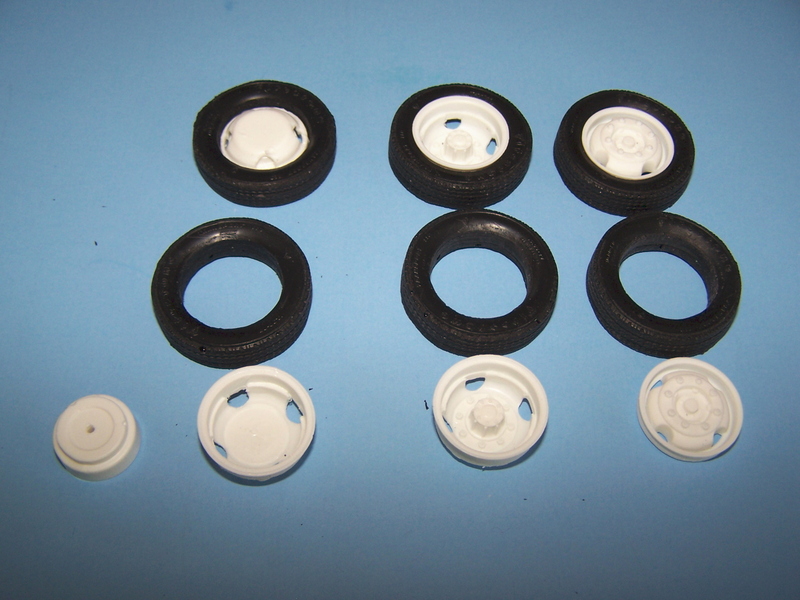 Fits AMT/Ertl 22" tires or Plaskit 22" tires. 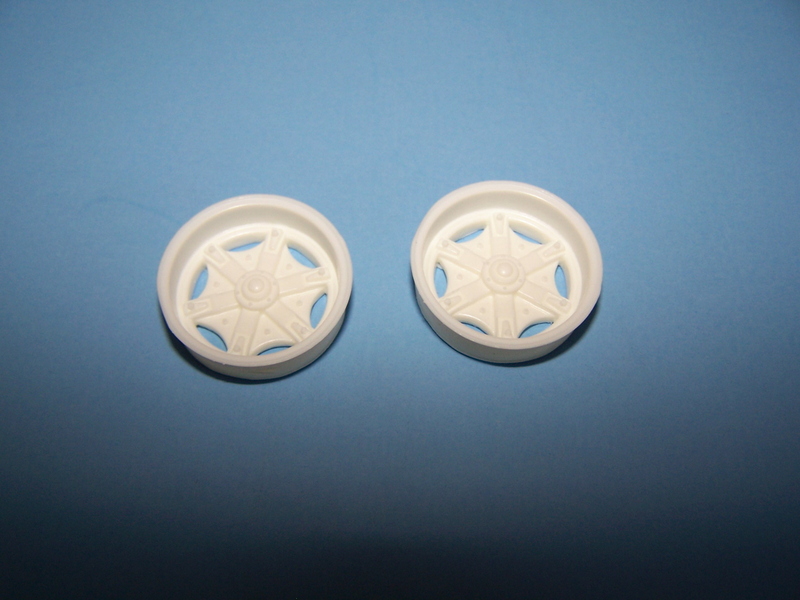 Resin cast wheel set for single axle truck. Includes 2 inner rear wheels, 2 outer rear wheels, 2 rear brake drums and 2 front wheels. 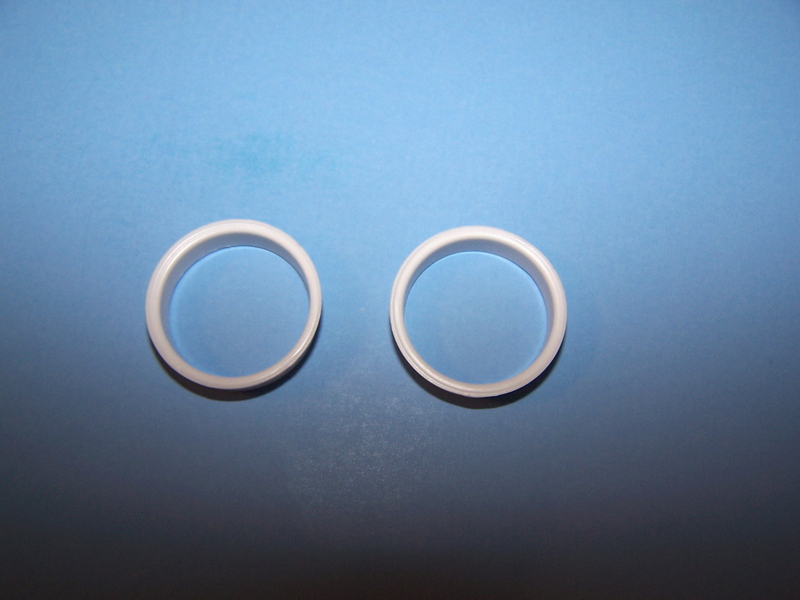 Fits most narrow AMT/Ertl 20" tires. 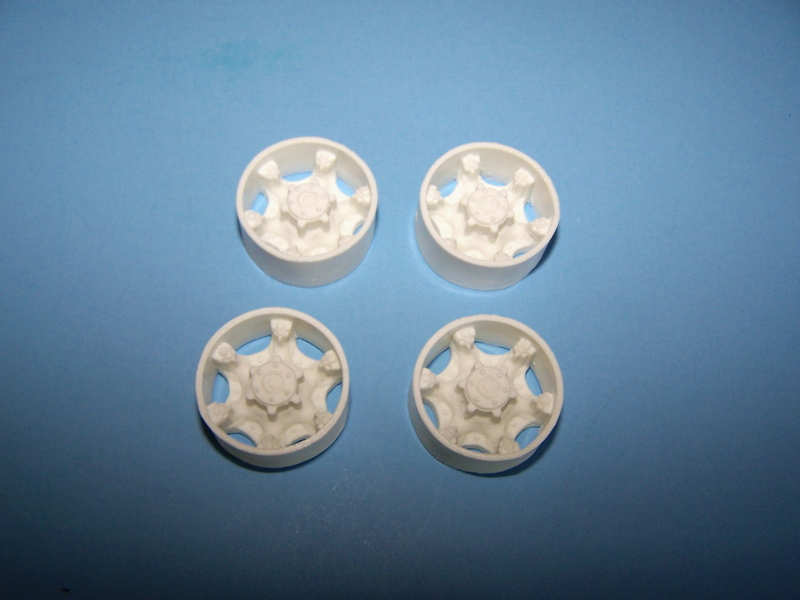 Resin cast 5 spoke drive wheel set for super singles. 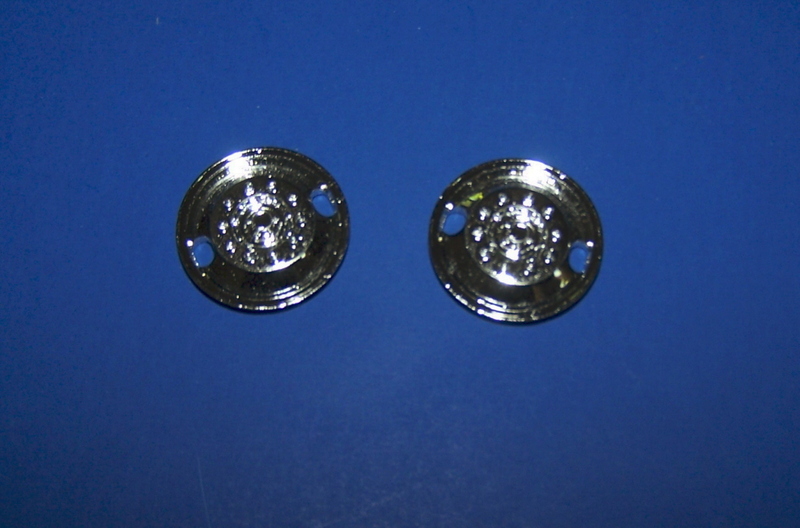 For use with super single tires on drive axles. 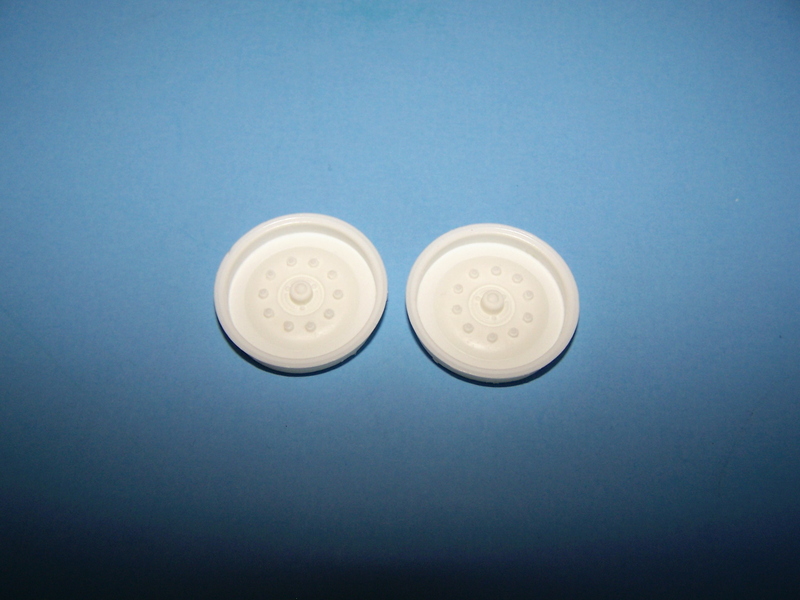 Resin cast 6 spoke drive wheel set for Mack,T-104 tires. For use with Plaskit T-104 tires only. 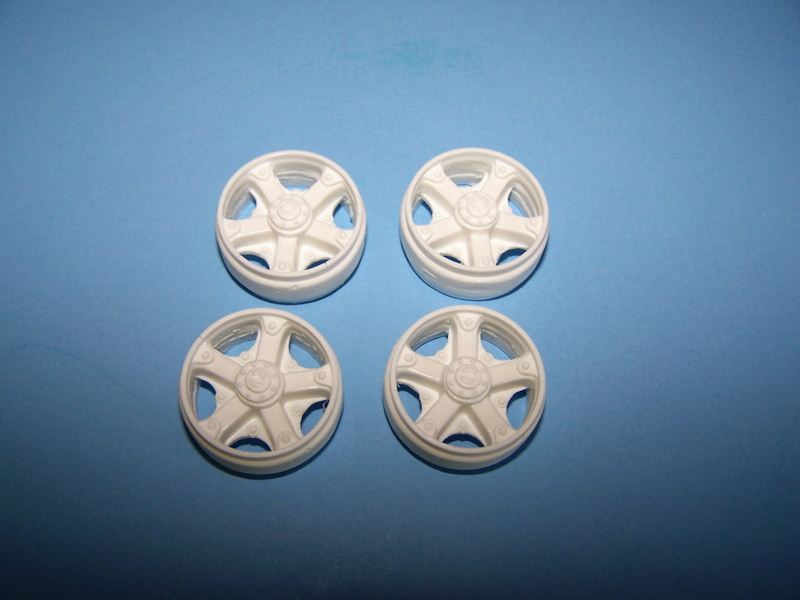 Resin cast disc type front wheels. 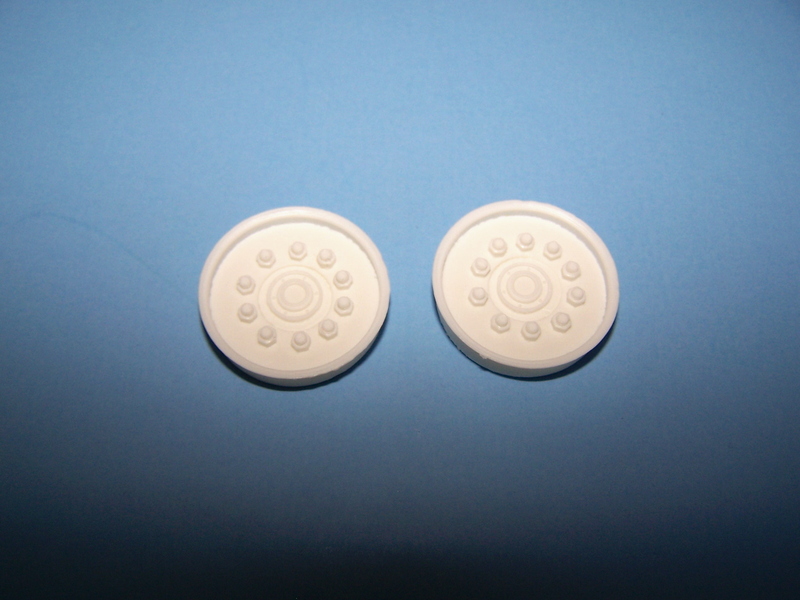 For use with Plaskit tires and AMT/Ertl or similar 22" tires. 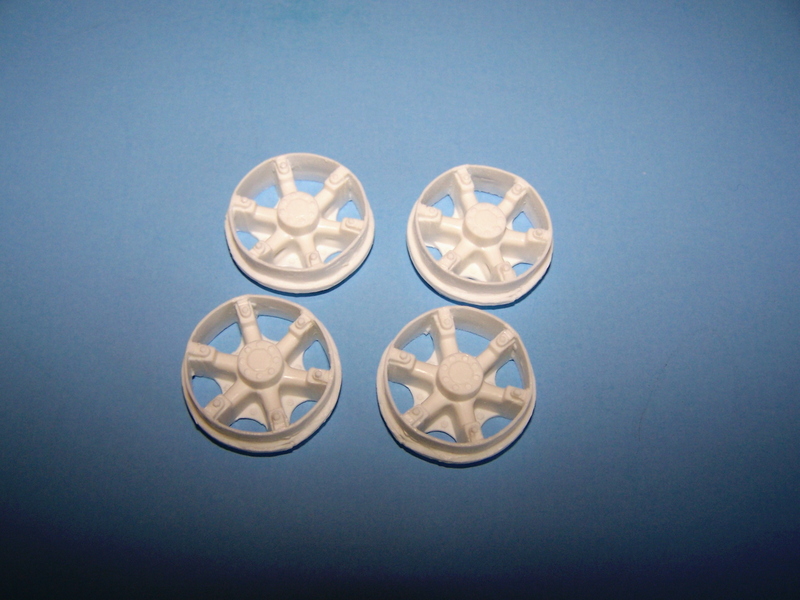 Resin cast 6 spoke drive wheel set for Plaskit T-104 tires. 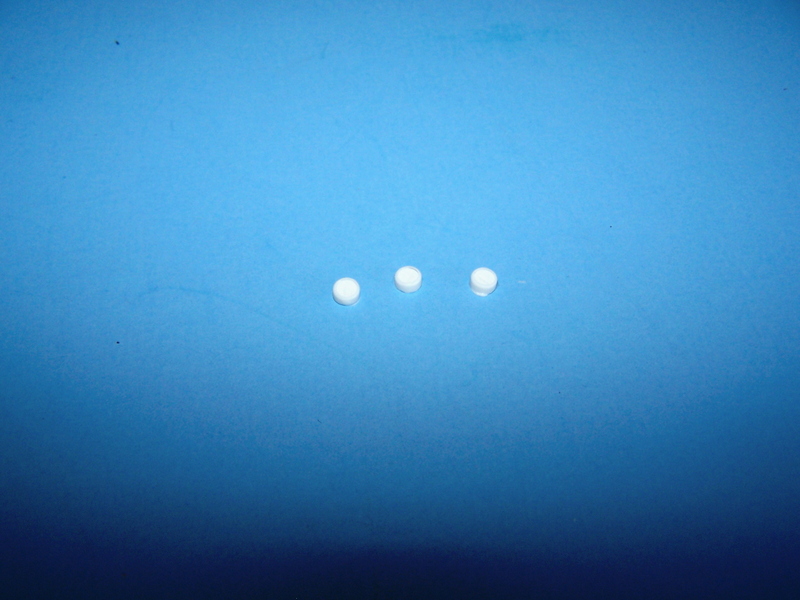 For use with Plaskit T-104 tires. 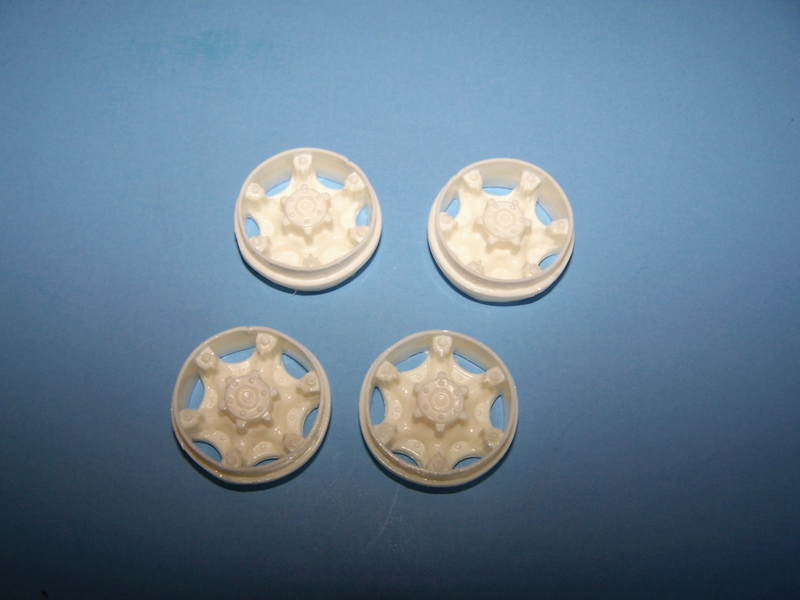 Resin cast 5 spoke drive wheel set.